New Delhi:(Page3 News Network/Newsonair)-A UN report says that opium growing has increased in Myanmar for a sixth year running. The UN Office on Drugs and Crime said land used for opium has risen by 17 per cent this year, from nearly 40,000 hectares to 51,000 hectares. 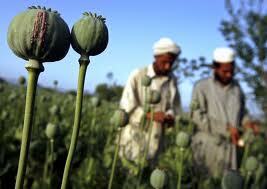 Myanmar is the second largest opium grower in the world after Afghanistan. Almost all of the opium it produces is grown in Shan and Kachin states, which have seen longstanding conflict between the military and ethnic rebel groups.